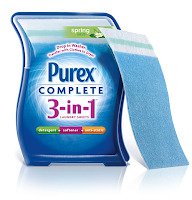 Free Sample of Purex 3-in-! You can request a free 2 sheet sample of Purex 3-in-1. Who knows, maybe they’ll even throw a coupon in with them for you!